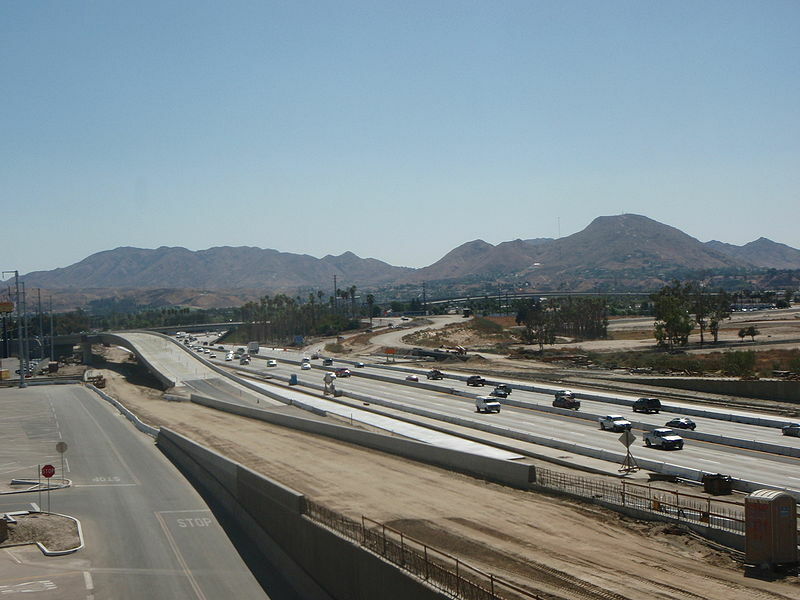 Construction on the 215 Freeway in Riverside California. This construction took 2-3 years to complete. Normally this area of the Freeway is also PACKED with cars.